We live in a fast-paced world. People change their email accounts as often as they change their shoes. Plus, people also leave jobs for new ones–all the time. As a result, CRM data can suffer. A person’s contact information can change from year to year. A company’s decision maker can change from year to year or every other year. It’s difficult to keep up with this pace of change, but it’s important for data accuracy. You don’t want to waste valuable time contacting clients who are in a different role or who have changed their contact details. What if the marketing department decided to execute a large marketing campaign and half the email addresses are incorrect? If data issues continue, they can create a massive bird’s nest of problems. As a result, it is critical to keep your CRM data clean. Does bad data affect marketing? If you’re utilizing marketing automation within your CRM, then you can see how important it is to have the right contact information. No one likes to see over half of their marketing emails bouncing back. What a waste of time, planning, effort, and resources. Content may be “king,” but data determines whether that content will have its time to shine–with the right audience. And, when time is short, many sales reps may find that there is a lot of data inaccuracy and duplication happening within their CRM systems. If you don’t clean up your CRM system, you are essentially leaving money on the table. Why? Because, after a while, the problem becomes so huge that sales reps need to spend days just cleaning up duplicate data. It can cost hundreds of dollars per bad record. If you have hundreds of bad records, think of how much money and time that would cost your company? On the other hand, when the data is clean and free of duplicates, sales reps can get right into the business of making calls, scheduling demos, sending emails, and closing deals. If a sales rep has to go through multiple records to find the right information on one client, that is already too much time wasted. There isn’t any question that time is money. 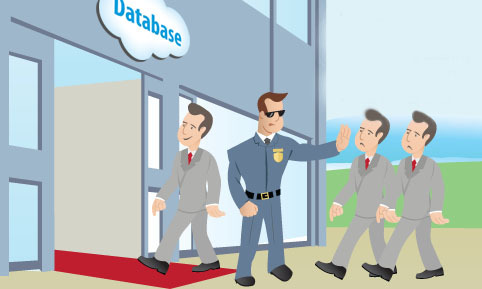 When you remove the duplicates, sales reps can focus on the customers instead of cleaning up the database. Here is the issue: Bad data isn’t necessarily the fault of the users. Bad data happens simply because details can change. At the same time, users may forget to remove old records. So, it’s important to have a system in place to get rid of duplicates. Each minute wasted on a duplicate is a minute too long. If you have hundreds or thousands of duplicates, that can result in hundreds of lost hours searching for accurate customer details. The last thing a sales rep wants to do is irritate customers by sending replicate information. When you have duplicate records, you can easily send the information since not every duplicate is updated. So, you send a customer marketing information one day. Three days later, you see a duplicate record without any records on the marketing message you had already sent. If you work with hundreds of clients, it’s easy to forget all the marketing strategies you have executed. Now, you end up sending the same marketing message just to be safe. What happens? The customer feels like a number and not a person. They end up sending your messages to spam and blocking your calls. Also, the customer will no longer trust you with their records. And, since you haven’t cleaned up your duplicate records, you’re left wondering why. On the other hand, when you clean up bad data, you can better target your intended audience because your information is accurate. Sales reps are protective of their territories, as they should be. Mining their territories for opportunities and sales is how they make money. If anyone infringes upon that, it’s like infringing upon their livelihood. And, duplicate records can cause many issues in this regard. When you have identical records, that may have a few slight differences, then they can be mistakenly assigned to different reps. Imagine the reps start calling on the same contact. First, the contact is confused and agitated. Second, the sales reps are agitated at each other. It makes for an all-around bad situation. It can also lead to product messaging conflicts. The good news is with Sugar, you don’t have to deal with duplicate records. You can start by using the List View Search to find duplicate records by searching using similar names. When duplicate records are populated, you have the option to merge right from the list view. You can also use the “Find Duplicates” feature to locate duplicate contacts. Once you find your duplicate contacts, you can merge duplicate contacts pretty easily by following the steps as outlined for you in Sugar. When duplicate records are identified in Sugar, you have the option to merge two or more into a single record. Once the merge is complete, the duplicate record(s) will be deleted, and the primary record will remain. Please note that all relationships belonging to the duplicate records will be merged to the primary record meaning that any calls, meetings, cases, etc. related to the duplicate record(s) will automatically be related to the resulting, merged record. Check out this article from SugarCRM Support to learn more. As you can see, a healthy database is essential. Fortunately, Sugar offers easy tools to quickly delete or merge your duplicate records.